panther came up to him: 'Jackal, where are my little ones? ' she asked. So the panther drew near the cleft of the rock.
' Don't you hear them?' 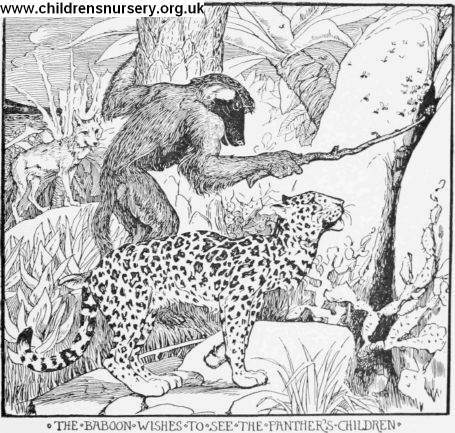 said the jackal; 'they are in there,' and slipped away while the panther was listening to the song of the children.